It was rational in that respect. But it is growing less so as the central banks start to tighten. Earlier this year, I wrote a series of articles (synopsis and links here) predicting a debt “train wreck” and eventual liquidation. I dubbed it “The Great Reset.” I estimated we have another year or two before the crisis becomes evident. Now I’m having second thoughts. Recent events tell me the reckoning could be closer than I thought just a few months ago. Central banks enable debt because they think it will generate economic growth. Sometimes it does. The problem is they create debt with little regard for how it will be used. That’s how we get artificial booms and subsequent busts. We are told not to worry about absolute debt levels so long as the economy is growing in line with them. That makes sense. A country with a larger GDP can carry more debt. But that is increasingly not what is happening. Let me give you two data points. Hoisington Investment Management's Lacy Hunt tracks data that shows debt is losing its ability to stimulate growth. In 2017, one dollar of non-financial debt generated only 40 cents of GDP in the US. It’s even less elsewhere. This is down from more than four dollars of growth for each dollar of debt 50 years ago. This has seriously worsened over the last decade. China’s debt productivity dropped 42.9% between 2007 and 2017. That was the worst among major economies, but others lost ground, too. All the developed world is pushing on the same string and hoping for results. Now, if you are used to using debt to stimulate growth, and debt loses its capacity to do so, what happens next? You guessed it: The brilliant powers-that-be add even more debt. This is classic addiction behavior. You have to keep raising the dose to get the same high. But centuries of history show that every prior debt run-up eventually took its toll on the economy. There is always a Day of Reckoning. The US economy is so huge and powerful that our current $24.5 trillion government debt (including state and local) could easily grow to $40 trillion before we meet that day. 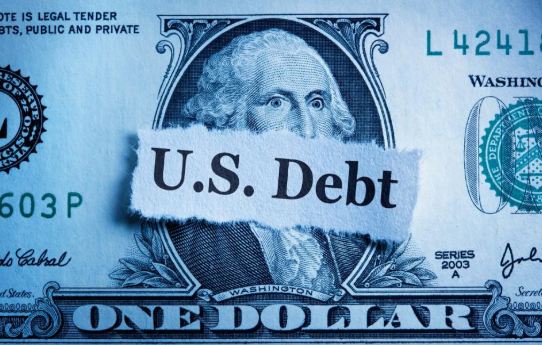 We are one recession away from having a $30 trillion U.S. government debt total. It will happen seemingly overnight. And deficits will stay well above $1 trillion per year every year after that, not unlike now. Even though a budget deficit is under $800 billion this year, we added over $1 trillion of actual debt. That is due to “off budget” items that Congress thinks shouldn’t be part of the normal budgetary process. It includes things like Social Security and Medicare They vary from time to time and year to year and can be anywhere from $200 billion to almost $500 billion. And here’s the point that you need to understand. The U.S. Treasury borrows those dollars and it goes on the total debt taxpayers owe. The true deficit that adds to the debt is actually much higher than the number you see in the news. Household and corporate debt is growing fast, too. And not just in the U.S. I am trying to imagine a scenario where this ends in something less than chaos and crisis. The best I can conceive is a decade-long (and possibly more) stagnation while the debt gets liquidated. But realistically, that won’t happen because debtors won’t let it. And they outnumber lenders. For this reason, something like “the Great Reset” will happen first. The rational course would be to delay the inevitable as long as possible. Yet in the U.S. we’re rushing it.